Papaya trees are best known for their vibrant orange fruit, but the world of alternative medicine is embracing them for a different, more game-changing reason. It’s no cure, but papaya leaf has scientifically-verified cancer slowing properties. A study by the University of Florida documented the impact of papaya leaf extract on lab-grown tumors and discovered the extract’s ability to slow cancerous tumor growth without the negative side effects of chemotherapy. Read how you can eat papaya seeds to detoxify liver, kidneys and heal the digestive tract. Dengue fever, also known as breakbone fever, is a mosquito-borne tropical disease caused by the dengue virus. Symptoms include fever, headache, muscle and joint pains, and a measle-like skin rash. Some cases of this ailment can develop into life-threatening dengue hemorrhagic fever or dengue shock syndrome with very low blood platelets. Papaya leaf extract contains two important compounds called papain and chymopapain that help to increase and normalize blood platelets. As a result, this extract has been used for years to effectively treat dengue fever. 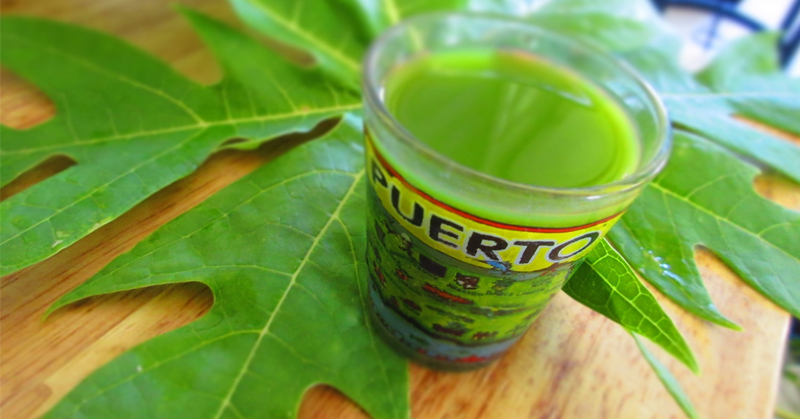 Related: More reasons to drink papaya leaf juice. Papaya leaf extract is sometimes sold as a supplement, but you could easily add the leaves to any of your juices. 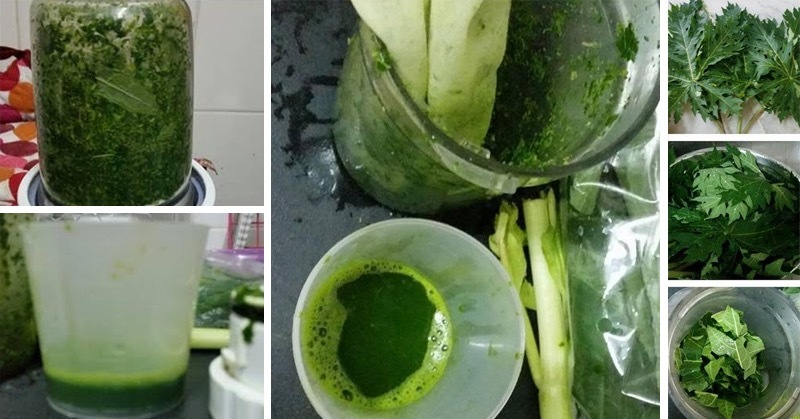 Keep in mind, papaya leaf juice is bitter, but you can add 1-2 green apples to help mask the taste. Disclaimer: Consult your doctor before using papaya leaf extract to ensure that it doesn’t conflict with any other medication you may be taking. Do not use this extract if you are breastfeeding or pregnant. Although papaya leaf extract has displayed some promising results, further study is needed into the benefits of this liquid. I’m drinking raw papaya with leaves by boiling. It cures my uric acid and my urinary tract infection. Very effective.